Mito and Hiba gave us 9 lovely puppies. 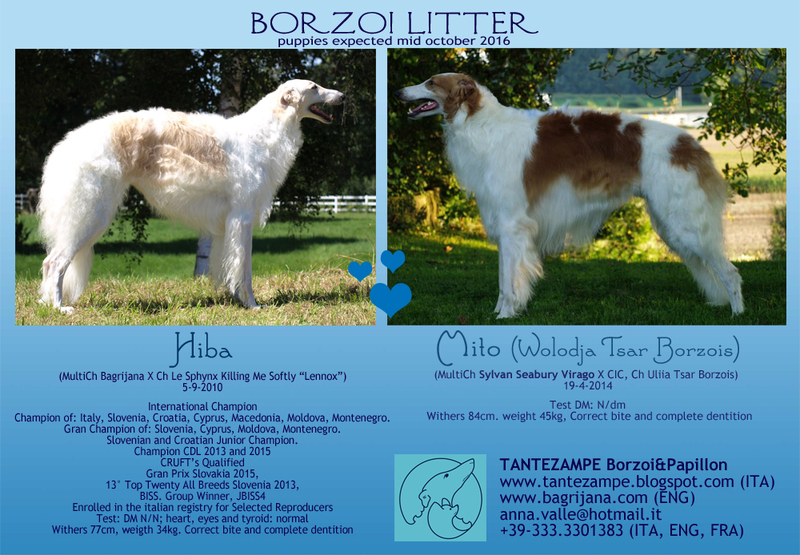 We're very grateful to Mito's owners for making all of this possible. This litter is the result of a combination of american and scandinavian lines creating and interesting blend. Also, on the father's side there is a good connection to the mother's side too, linebreeding back to Seabury Jay Egoiste. We're looking forward to the development of these promising puppies. I Want It All "Wall-e"
I Want You Back "B.B." I Am the Sovereign "Zar"
In Too Deep TZ at Miskat "Mila"